11.09.2001: The criminal revision petition filed by Sushil Ansal & NS Chopra (Manager Uphaar cinema) was dismissed by Hon’ble Justice R.C. Chopra of Delhi High Court. The court observed that it is prima facie shown on record that Sushil Ansal was the person was in charge and was looking after the cinema on behalf of the owner /Occupier and had permitted the cinema building to be used in contravention of the provision of act. Therefore this court find no infirmity with the impugned order framing charges against petitioner Sushil Ansal under section 304 A /337/338 IPC & sec.14 of cinematograph act 1952. 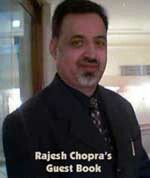 As regards NS Chopra the court observed that the evidence on record prima facie shows that he was one of the managers on duty at the cinema at the time of the incidence and only he was carelessly indifferent to the compliance of rules, regulations and by laws meant for the safety of the patrons. He had also failed to extend any help to the patrons trapped in the balcony at the time of incident. He remained aloof and unconcerned during the period when the patrons in the balcony were crying and shouting for help. He did not issue any instructions to any of the staff on duty to help and assist the patrons in moving out of the balcony. He fully knew that on account of non supply of electricity in the cinema, the balcony had been converted into a black hole and people were unable to find the way out .It was well within the knowledge of the petitioners that the emergency lights as well as public address system in the balcony were out of order for quite some time and no steps has been taken for repair thereof in spite of reports by the subordinate staff. It was also within his knowledge that in view of the obstructions in the second staircase the patrons trapped in the balcony would not be able to move out safely. His act of commission & omission, knowing fully well that deaths were likely to be caused render him liable under section 304 IPC.It can be thus be prima facie assumed that he had knowledge that deaths were likely to be caused but still remained absolutely unconcerned and unresponsive to the situation which he was duty bound to handle. Therefore framing of charge under section 304 IPC against him is justified and calls for no interference by this court.